A delicate beauty with up to 3 soft yellow blooms with pastel pink cups atop each stem. Jonquilla. 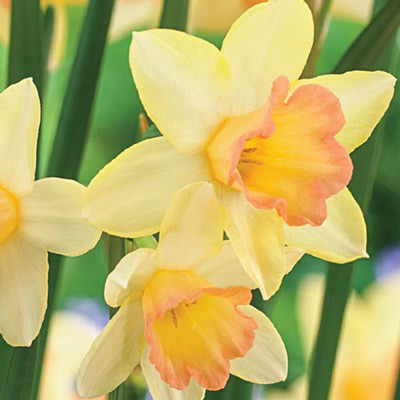 Here's a delightful assortment of Daffodils, each with their own unique appeal! 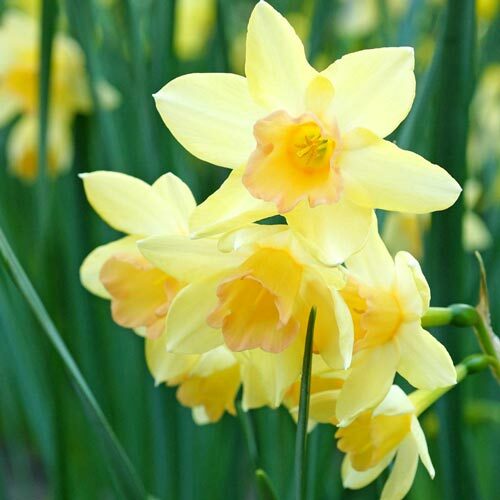 Small-Cupped Daffodils have less-prominent trumpets and larger petals. Poeticus Daffodils boast fragrant, solitary white flowers with red-rimmed cups.